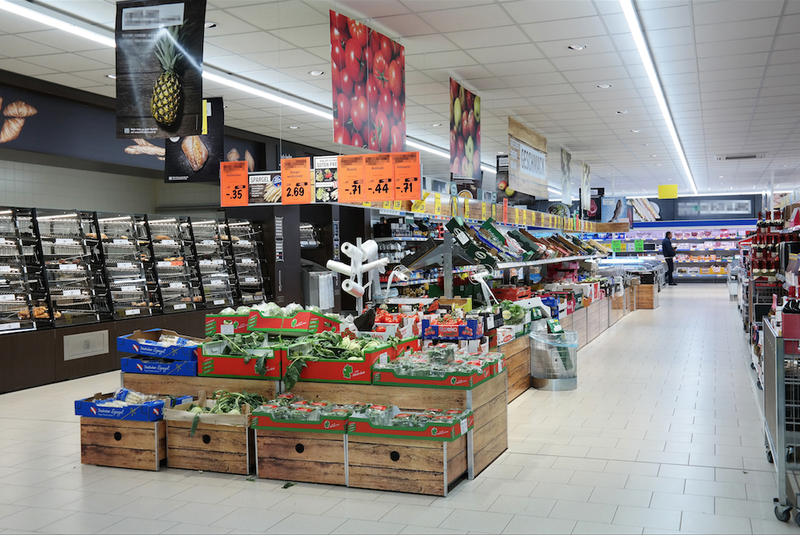 It is a pleasure for Ledsfactory introducing the newest Megalink Lighting Trunking System designed and manufactured in Spain, which is the perfect solution for all types of applications such as supermarkets, industrial units, retail, warehouses, etc. Megalink Lighting Trunking System is easy and is flexible to install because it is formed by two parts, the electrified rail and the lighting. All its structure is made of high quality aluminum. It is really versatile because it can be combined with different modules (presence or crepuscular detector, emergency, triphasic rail or blank cover) and different accessories (connectors, connection terminals, end cap, etc). Besides, it comes up with a wide range of lenses of different beam angles (30 º/60 º/90 º/Asymmetric 20 º/asymmetric Double 25 º-25 º) in order to meet perfectly your project’s most demanding needs. Thanks to its high power up to 66W in 1436mm, together with a high efficiency of 160lm/W (one of the highest in the market) and lenses of different angles is perfect for industrial applications and it is way better than high- bays because lighting leaks and dark spots are practically non-existent. It is also available in 3000K and 4000K and soon also in special Leds for food.